After completing my schooling in Brisbane, I studied Veterinary Science at the University of Queensland and graduated with honours. I worked at a number of Veterinary Clinics in both Western Australia and Queensland. In 1985 I was offered a position at Mackay Veterinary Surgery and the rest they say is history. At Mackay Veterinary Surgery I met my wife, Dr Lindsey Evans, and over the following 25 years have raised two boys, along with numerous furry housemates, enjoying everything that Mackay life has to offer. We have also enjoyed being involved in numerous community and sporting groups as well as being active long term members of the Australian Veterinary Association. I have had the opportunity to work alongside a fantastic group of Veterinarians and Veterinary Nurses, some of whom I continue to work with. The last 30 years has seen a period of great change, with the hospital transitioning from a mixed practice clinic which treated horses, cattle, dogs and cats; to become a purpose built facility dedicated to the treatment of small animals, ie. dogs, cats, birds and other small creatures. To facilitate this transition has come the necessity to stay up to date with the latest developments in veterinary care, including information about existing and new medical conditions, surgical techniques, diagnostics and treatments. This along with regular access to specialists, who visit the hospital as well as being available for referrals, has greatly improved the care available for our furry (and feathered) patients. I love the opportunity to continually learn across all aspects of veterinary science, and enjoy the challenges that come with a general veterinary practice. I do have a special interest in orthopaedic surgery, especially stifles (or knees) as well as general surgery and complex medical cases. The variety of work, the trust of our clients and the enjoyment of the patients we treat, along with the dedication of our Veterinarians and especially our Veterinary Nurses, are all factors that contribute to the satisfaction and pleasure of my veterinary working life. I am a born and bred Queenslander, growing up in Townsville and then Ingham. I have grown up with many different pets and have always had a passion for animals as far back as I can remember. I completed my Veterinary Science degree at James Cook University in Townsville. I have an interest in all areas of Veterinary Science with particular interest in small animals. My favourite part of being a Veterinarian is getting to meet many different animals each day and getting to spend my days filled with them. I currently have a cat named Lilly who I adopted here in Mackay. In my spare time I love to spend time with family and friends. I moved up to North Queensland to complete my Bachelor of Veterinary Science at James Cook University in Townsville and have never looked back. Three years ago I moved to Mackay to start work at Mackay Veterinary Hospital. I have a real passion for working with small animals, particularly small animal medicine and ultrasound. When I am not at work I enjoy spending time with my partner, our two dogs Eddy and Abbey and our 3-legged rescue cat Klara. 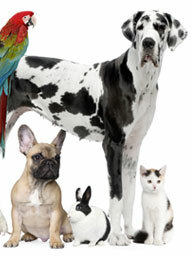 I am a part-time veterinarian at Mackay Veterinary Hospital and Mt Pleasant Veterinary Surgery. I wanted to become a vet since my teenage years because of a love of animals and the outdoors. I graduated from QLD university with a Bachelor of Veterinary Science (honours) in 1987. Since then I have worked in various small animal and mixed practices on the Sunshine Coast, Innisfail, Mackay and in the UK. Areas of interest include: Opthalmology, skin disorders and canine and feline medicine. I first worked at Mackay Veterinary Hospital in 1994. During this time I enjoyed participating in triathlons. My husband Rob and I left Mackay during 1998 to work and travel in the UK and Europe for 2 1/2 years where I did locum work. I now live in East Mackay with my husband and 3 beautiful daughters; Amber, Imogen and Gemma, our fox terriers Rosie and Peanut and numerous guppies. In my spare time I like to go to the beach with my family, take Rosie and Peanut for beach walks and swim some laps. I have worked for Pert, Perry & Evans Veterinary Surgeons for 27 years and I now spend most of my time at Mount Pleasant Vet Surgery. It’s both rewarding and very enjoyable to have vets and nurses that have the same passion for animals as myself. My husband and I have a teenage daughter who loves animals as much as we do and spoils our cattle dog Azula far to much. We also have a budgie that I rescued and is now part of the family and never stops talking, as well as a cockatiel called 'Stiles'. When I'm not working I love camping, gardening and catching up with family and friends. I have been Office Manager at Mackay Veterinary Hospital since 2005. I orginally came from a little rural town in Central Queensland called Monto. After moving many times due to my husbands work, we moved to Mackay 16 years ago. My life is very full, with my work which I enjoy immensely (I am lucky enough to work with a great team and watch the antics of so many lovely and varied pets), my two children and three gorgeous granddaughters, my dog Isobel (Maltese X) and mischievious cat Ally, who was rescued from a box in an industrial bin. In my small amount of spare time, I enjoy gardening, boating and fishing and just chilling with my family and friends and pets. I have been part of Mackay Veterinary Hospital for many years, having started here on 4th May 1984. The last few years I have been working mostly on weekends and the occasional week day. I'm kept very busy with my three children and running my own business, Homebush Boarding Kennels and Cattery. In my spare time (what little there is), I enjoy gardening and just spending time with my family. After 17 years working at the Mount Pleasant Vet Surgery, I said goodbye to the clinic and tried my hand at caring for the elderly, but after a 4 year break, I realised I missed all my animals and co-workers, so I have returned to Vet Nursing. While I was away I did some travelling. A life changing experience was when I travelled to Antarctica to folic among the whales and penguins. When I'm not nursing, I enjoy travelling, cross-stitch and reading. Having the opportunity to be part of a great team of vets and nurses who share the same passion for animals as I do is very rewarding. Starting in 1999, I have achieved my Certificate IV in Vet Nursing and completed the Delta Society Canine Good Citizen Course allowing me to implement the best possible training methods for our clients and their puppies. It gives me great pleasure instructing our wonderful Puppy Preschool Classes where I see such great bonds develop between the owners and their puppies. My spare time is spent with my husband, our two children and our menagerie of pets while enjoying gardening, fishing, camping and exploring all that Mackay has to offer. My passion for animals lead me to start my career at Mackay Veterinary Hospital in 2008. During my time at this great clinic I have achieved a Certificate IV in Veterinary Nursing. I enjoy spending my work days nursing and caring for our patients and their humans. My husband and I have been blessed with two amazing children, Elza and Asher (who both share my passion for animals). Our household now comprises of two Golden Retrievers (Richie and Meicie), a Birman cat (Laila) and three cheeky birds (Tech, Boo and Princess Fluffy). We all love spending our free time together outdoors exploring. I started my career as a Veterinary Nurse at Mackay Veterinary Hospital in July 2011. In this time I have completed my Certificate IV in Veterinary Nursing. I grew up on a farm so have been surrounded and loved animals for as long as I can remember. My husband Ben and I share our house with 2 very spoilt animals, an Australian Terrier named Ruby and a cat named Scarlett. In my spare time I enjoy being outdoors and catching up with family and friends. Daily I am reminded of how fortunate I am to work at Mackay Veterinary Hospital where I have been for the last 5 years. It is not just a great workplace, but it is also filled with a wonderful team that show so much care and dedication towrads the well-being of all animals. To be surrounded by like minded people that have a deep love and passion for animals fulfills a lifelong dream. I qualified for my Certificate IV in Veterinary Nursing in January 2017 and have continued my education in areas of special interest like Pathology and Anaesthetics. I also have a passion for Australian Wildlife. My husband Ashley and I share our home with a cat called Mielie and Chloe who is arguably the most spoiled dog in the world. I always wanted to do something with animals for as long as I remember. Growing up in North Queensland in a small town, I had the opportunity to work in a vet clinic throughout my teenage years. I got accepted to study at University of Queensland, Gatton, Bachelor of Veterinary Technology and moved to the Ipswich area. I finally got a job nursing at Yamanto Vet Surgery where I found my feet and was certain I was in the right career. My partner and I got relocated to Moranbah, so I traded animals in for coal. I worked in a lab performing tests on coal samples for many mines in the area but I missed working with animals. I graduated Veterinary Technology in July 2018 and not long after started working at Mackay Veterinary Hospital. I am known as the 'crazy cat lady' (but I prefer cat queen). I have two cats, Tobias and Milton, as well as a foster cat, Freddie. I also have a blue tongue lizard named Atticus. When I am not at work, I enjoy going to the beach and spending time with my partner and friends and exploring the area. I was lucky enough to start my dream job as a vet nurse here at the beginning of January 2018. I hope to start my Certificate II in Animal Studies in 2019, followed by the Certificate IV in Veterinary Nursing. Starting from when I was a little girl I have always had a love for animals and always had furry family members. I currently share my house with my Cattle Dog Maggie and my beautiful cat Balthazar, oh and my parents. Outside of work I love spending time with my fur babies, playing my violin, watching movies and expanding my pop vinyl collection.